Software engineering is one of the fastest growing fields in the United States. Employment of software engineers is projected to grow 30 percent by 2020. 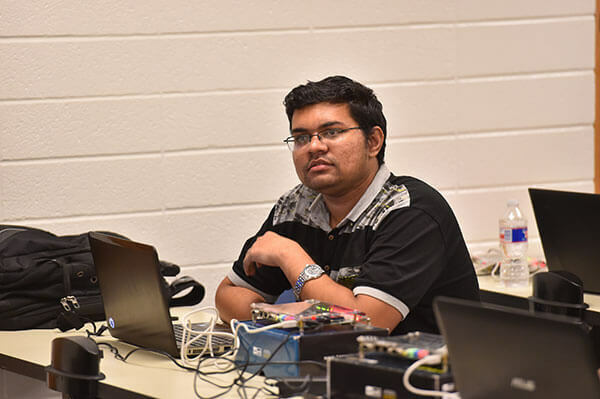 The Software Engineering program at St. Mary’s is designed to give students a combined experience of classroom learning and hands-on engineering practice, and creating technical leaders who are able to engineer the greater good for society. The focus of our software engineering curriculum is on the requirements, analysis, design, construction, testing and maintenance of software systems. Graduates from our Software Engineering program will have prospective employment as software developers in diverse areas, such as data processing systems in business, telecommunications, healthcare, cybersecurity, robotics, gaming industry and mobile applications. Software Architect. Software architects are able to transform a plan and a set of requirements into something that is programmable and achievable. They are primarily concerned with the early stages of a software development cycle, including requirements and design although they can be involved in programming as well. Embedded Software Engineer. From gasoline pumps to living-saving medical equipment, computers and software runs the machines that we interact with everyday − even when they don’t look like computers at all. Some people refer to these as “invisible” or “embedded” computers and they are an important part of many different systems. Cybersecurity Manager. These software engineers are concerned with the kinds of software that controls passwords, financial transactions, private information, and more. Managers may write security programs or act as an expert and consultant. Laboratory facilities are available in the engineering buildings, allowing for basic and advanced laboratory instruction in electronics, digital signal processing, control systems, microelectronics, communications, embedded systems, power, and digital systems. The research laboratory equipped is with both UNIX and Windows workstations. Many engineering majors work as interns in local organizations such as Southwest Research Institute, The University of Texas Health Science Center, Motorola, NASA, City Public Service, and Harris Electronics. Engineering students also participate in funded faculty research. Many junior and senior students volunteer their time to tutor freshman and sophomore students in mathematics and engineering courses.